Fills fine gaps. Creates invisible seams. Water clean up. 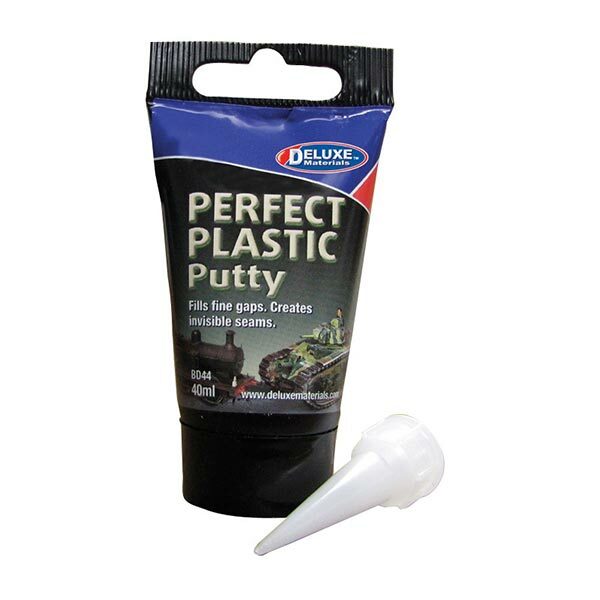 Perfect Plastic Putty is a one-part, fast-drying, superfine filler with good adhesion and sanding properties on plastic. 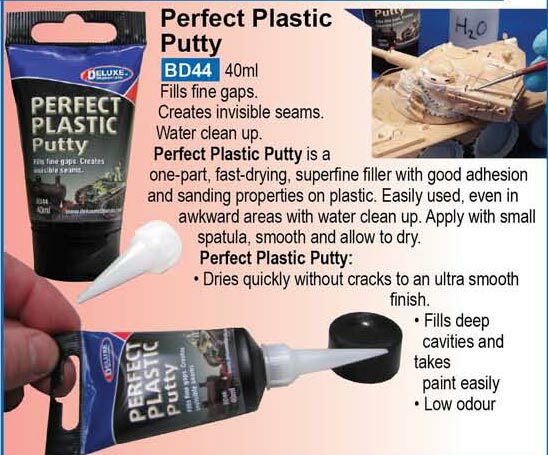 Easily used, even in awkward areas with water clean up. 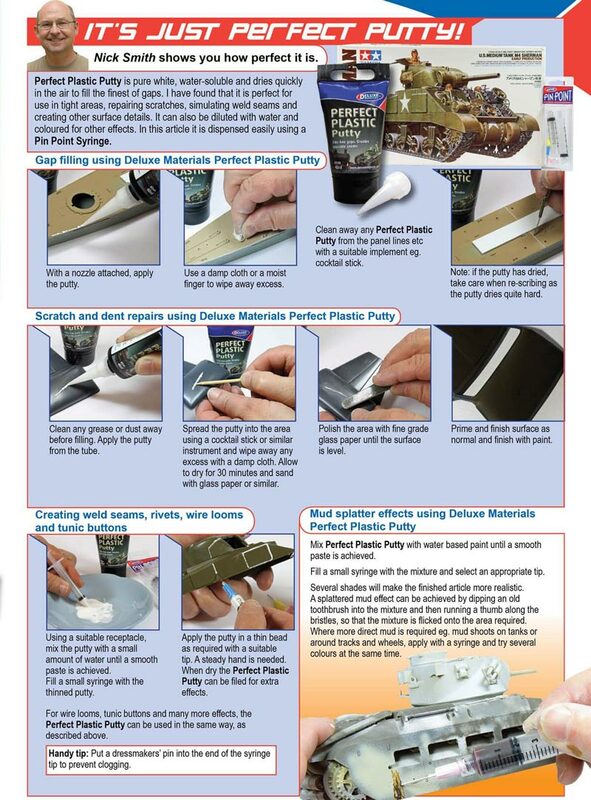 Apply with small spatula, smooth and allow to dry.